Die Grenzen meiner Sprache bedeuten die Grenzen meiner Welt. “The limits of my language define the limits of my world”, said once Ludwig Wittgenstein. And this quote reflects the modern reality fairly accurately. The more languages you speak and the better you speak them – the more doors are open for you out there in the world. Well, Wittgenstein certainly meant more than that, and probably not that at all. But few of us are actually interested in the philosophy of language. The majority is more concerned with the pragmatic side of the question. This question is whether language learning is a good investment. My answer is yes. And here’s why. 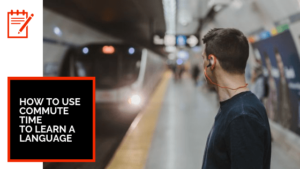 The opportunity to connect with more people is rather an obvious reason why you should learn another language. Languages unite. Your ability to speak a foreign language helps you to meet people that wouldn’t have met otherwise. It also allows you to connect with them on a deeper level. I had a chance to observe this myself. People who influenced my life the most did not speak my native language. If I didn’t speak theirs, we would have never met – and I wouldn’t be writing these lines. In 2013, CNN Business analyzed thousands of job descriptions from Indeed.com, the largest American employment search engine. They came to the conclusion that the most wanted job skill is fluency in a foreign language1. Candidates themselves often feel the pressure to be “somewhat” bilingual. According to a survey conducted by Hloom, more than half of job hunters exaggerate their foreign languages abilities to some extent. (I did, too). And it’s hard not to: you can’t be concrete when it comes to linguistic self-evaluation unless you have a proof of your language proficiency level. Nevertheless, the real knowledge of a foreign language does make you a more valuable candidate in a variety of fields, including government, law, medicine, business, and technology. Considering the fact that we live at the age of global economy and the good 80% of jobs in the United States are created as a result of foreign trade, your bilingualism can become that rare university-learned skill you actually use after graduation. So why you should learn another language, you wonder? Just to the sake of embellishing your CV, my friend. According to 2008 research from University of Guelph, French-English bilinguals earn a premium of 7-16% as compared to their monolingual collegues. 2. Obviously, merely studying language at university does not guarantee a larger salary. What matters is whether you achieve fluency or, for the lack of a better term, at least working proficiency. Just prove your language skills – and you’re cruising around on the company dime. 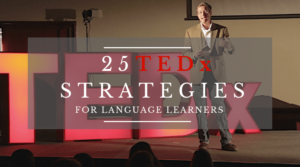 Another reason why you should learn another language comes with a simple and straightforward advantage of being a better communicator. Could you repeat it, per favore? Parce que no entiendo. You don’t become bilingual overnight because language learning is quite a process. And before you can have fluent conversations in perfect French, you have to go through thousands of other – rather painful – conversations in broken French. And most of these “conversations” will rather resemble the game of Broken Telephone (if not Telephone Pictionary). 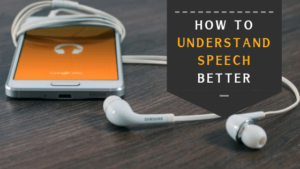 As a language learner, you will get through all sorts of communication breakdowns. Nevertheless, such an extensive deliberate practice in reaching mutual understanding with native speakers of your target language will soon help you to develop everyday communication strategies. Language learning teaches you to get your point across with just a handful of vocabulary words. If you ever admired Patrick Jane’s talent for reading people’s minds, well, you found another answer as to why you should learn another language. Bilinguals tend to be wa-a-a-ay more perceptive than monolinguals when it comes to communication. And there’s a good reason for that. Bilinguals are good observers that monitor their social environment with keen attention. When the verbal communication breaks down (as it always does during your first 101 attempts to have some constructive dialog in a foreign language), you have no other choice as to look for non-verbal cues. And with practice, you become damn good at reading facial expression, body language, and gestures – anything that can give you a hint about the intended meaning. What’s more interesting, even mere exposure to a foreign language during childhood seems to improve children’s perspective-taking which is crucial for successful communication4. The English language is like a cellular network. It seems to be all corners but not where you most need it. There are still places where no one understands a single English word. Many of those are nice sunny spots with white sand and azure tides. The irony is that we all want there and with the right approach many of us can indeed live anywhere. And language shouldn’t stop you. Of course, you don’t need to speak another language to travel. But, hey, moving from Hilton Sukhumvit to Hilton Durban is not traveling the world. Getting your favorite Caramel Macchiato in Starbucks on Old Arbat Street in Moscow is not experiencing Russia. You don’t even know what you miss out on if you don’t speak the language of your host country. So complete your prerequisite “language requirements” and you can live, work and study in any place in the world. Bilinguals are masters of conflict management. Your English doesn’t magically shut down every time you try to speak Italian. No. It’s still there. Active. Noisy. Trying to mess you up. Two languages – two competing linguistic systems – are indeed simultaneously “on” in a bilingual mind. Every time want to say something in Italian, you automatically recall both Italian and English words. And every time you have to choose one. So your brain has to consciously select an Italian buongiorno over an equally ready-to-go English good morning. As a result of this daily torture, bilingual brains develop superior executive control5. Executive function is responsible for working memory and retrieval, sustained attention and multitasking, inhibition and selection, and language learners are better in all those things. 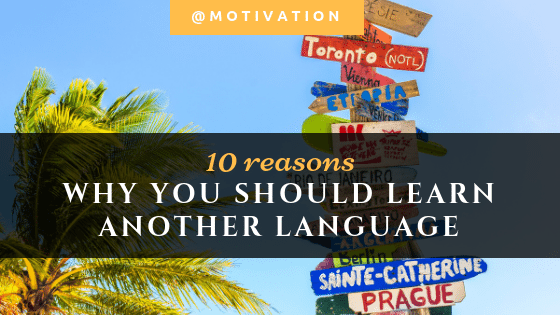 So why you should learn another language? How about boosting your cognitive performance? It is somewhat ironic, but having an internal monologue in three languages makes your brain more resilient to dementia. Multilingual brains constantly juggle two or more languages just so that their owners can go on with their lives. And such a mental exercise appears to have lifelong benefits. More precisely, bilingualism seems to contribute to cognitive reserve, the latter being your brain’s resistance fighter. It protects your hemisphere from damage associated with cognitive disorders (such as Alzheimer’s). And indeed, numerous studies have shown that bilingual brains resist to the onset of Alzheimer’s disease 3-4 years longer and cope with symptoms way better than monolingual counterparts. Moreover, the higher your language proficiency, the more salient are the positive effects of bilingualism. Obviously, building up cognitive reserve might not become your number one reason one for learning another language in your 20-s or 30-s. But not you can think of language learning as a long-term investment in your overall cognitive well-being. You’re welcome. Your rationality is a function of your moral …and a language you think in. Speaking another language affects human behavior in many surprising ways. For example, it makes you more pragmatic, less emotional and unsusceptible to decision biases. This phenomenon is known as the foreign language effect. A study from the University of Chicago has shown that considering moral problems in a second language prompted participants to take more rational decisions. Similarly, thinking in L2 generally helps people to be more reasonable in their consideration of risk and avoid Daniel Kahneman‘s mind traps. The majority of problems in our lives comes from taking irrational decisions. So if you want to get immune to decision biases – why don’t you improve your French (it doesn’t take long)? You should learn a foreign language because it improves your understanding of other cultures – and, more importantly, of your own. He who knows other languages feels even closer to his own language. I guess, here you can trust the opinion of a world-class polyglot. Language learning, same like travel, is an eye-opening experience. When you speak another language, you gain the perspective. It forces you to confront your own stereotypes about people and their cultures. You learn that there’s no one single way of living and begin to appreciate cultural diversity. I like to think that language learning is an essential element of one’s liberal education. It pushes you to explore other disciplines such as art, music, dance, cinema, literature, philosophy, and even cuisine. To the point where language learning becomes a journey on its own. There is a hundred reasons why learning foreign languages is worth your time. And ultimately every person finds one – personal – reason that keeps them going despite numerous downfalls. Have you find yours?